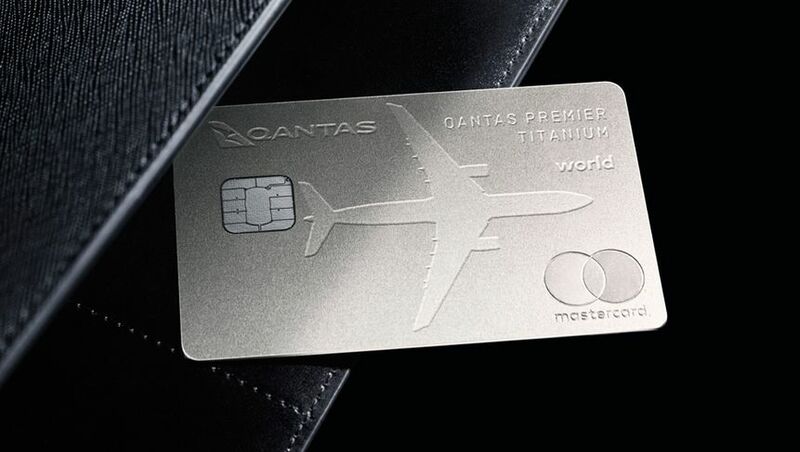 Qantas is taking aim at high-spending high flyers with its new Premier Titanium credit card, which trumps its Premier Platinum sibling with more than just super-shiny looks and metal-cut heft. Headlining the ultra-premium package is a 20% bonus serve of Status Credits when you take a Qantas flight booked with the card, although the fine print flags that this extra haul doesn’t count towards Platinum One status, your lifetime status tally or any loyalty bonus boosters. The earning proposition on the Citibank-backed Mastercard begins with 1.25 Qantas Points per dollar on domestic spend – one of the highest Qantas Points earning rates in Australia – although once you exceed A$12,500 per month it’s wound back to 0.5 points per dollar. There’s an additional 2 points per dollar issued for ‘Qantas Spend’ – most commonly flights but also covering the likes of Qantas Wine and Qantas Insurance – while international spending also rakes in 2 points per Aussie dollar. One downside: you won’t earn points on any government-related payments, which scales all the way down from your tax bill to council rates, car registration and parking meter, unlike some other cards which apply a reduced rate to those transactions. Annual perks include two complimentary invitations to the Qantas First Lounge (valid in Sydney, Melbourne, Los Angeles and from late 2019, Singapore) along with a pair of Qantas Club lounge passes for domestic Qantas Clubs and most international business class lounges. There’s also an 10% discount on two domestic or international Qantas flights per year for two people, free membership to the Qantas Wine Premium club plus the obligatory overseas travel insurance and one year extended warranty on eligible purchases. Kickstarting the Qantas Premier Titanium card is a meaty 150,000 bonus Qantas Points when you spend $5,000 in your first 90 days (offer ends on 30 April 2019). However, Qantas is balancing all that against a deliberately exclusive cost of entry: with a lofty income requirement of at least $200,000 and an annual fee of $1,200 (plus $100 for an additional cardholders), this is certainly not a card for everyone. And those judged Titanium-worthy are more likely to be Olympic-grade shoppers than super-frequent flyers. “It’s actually frequent buyers who are now earning the most points,” Wirth observes. “We’re seeing more and more of our members with points balances in the millions through strategic credit card use and leveraging program partners,” she says, citing one member who in the past 12 months “has earned more than 30 million Qantas Points on credit card spend” – equivalent to over 100 round the world trips in business class. Wonder if you own a premier credit card, will it stop you picking up the bonus points for signing up on this card... Would be extremely annoyed (and not apply) if this was the case. Not sure if the value's there though. Lacks the value adds such as priority pass and hotel status, in exchange for a points earning cap, 2x F lounge passes, and 20% bonus status credits. If you have qf platinum status already, I'm not sure what you're getting for your $1200 fee. I would say if you’re getting this card then you either have the Amex Platinum or even Centurion card already. The value prop on this one isn’t as good tho. Hotel memberships (chase one with stays and get a different one free) airline memberships, amex lounges, multi airline discounts in preferred partners program, points transfer options, as well as points earn, etc. the upside that amex doesn’t have is that this gives you a wider range of QF product discounts, but that might not be your driver. I'm surprised for the $1,200 annual fee that there wasn't at least some form of QF flight vouchers similar to that of the Amex Ultimate, which offsets the $450 fee with equivalent amount of vouchers. Maybe complementary Qantas club membership would of been a great value add. On a side note, I wouldn't mind 30 odd million points. With more travel benefits coming from the AMEX Platinum and Centurion cards, the only thing I see valuable about this card is the 20% bonus status credits. Other than that, you can get up to 20% off flights with Amex, hotel status, various memberships (incl. AccorPlus, Marriott, AFR), a $450 flight voucher and more. 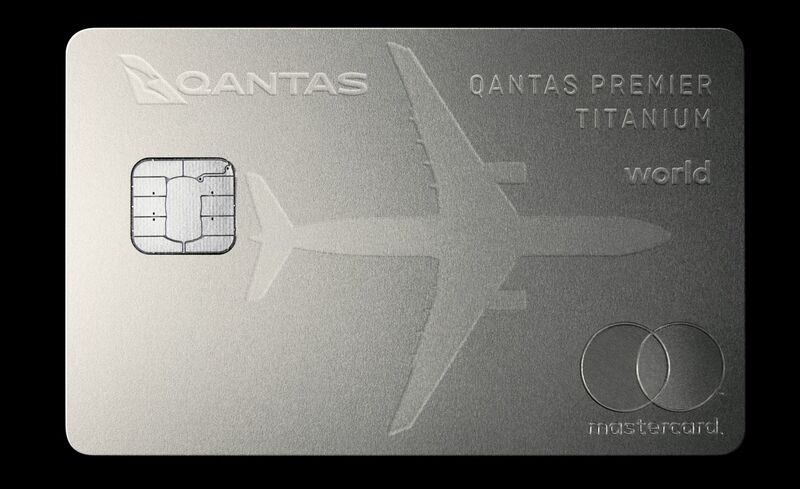 Other than that, I do think that the Qantas Premier Platinum card is the pick of the bunch here, amongst non-Amex cards. With an incredible number of new places accepting Amex, my monthly spend on my MasterCard has literally dwindled the purpose of paying for my insurance premium with NRMA hahaha. The first class lounge invitations do not lure me...being a Platinum QFF. The sad thing with this benefit, is that they are non-transferable, unless you travelling with the second person. Also... $100 per additional cardholder - an absolute rort, compared to AMEX who do not charge for up to 4 additional. Looks good at first but so many flaws including the $12,500.00 cap, why bother. My current set up is a lot better. 1.25 earn rate capped at $12,500 per month, or $150,000 per year... so with a $1200 fee per year, you are effectively 'buying' the point differential from 0.5 to 1.25 (obviously not in year one with sign on bonus). Is the 10% flight discount also capped? i.e. if I buy two $6,000 tickets, would I get a $1,200 discount - probably get me to Platinum straight up! Agree the card is not useful if you are already Platinum, however Qantas have stated its aimed at the high spender, not the high flyer. So high flyers are not the target market. So when you look more closely at the benefits, that starts to make more sense. I question how they intend on luring high spenders from their amex centurions with a $12.5k cap on the favourable earnings rate though. Aimed at high spenders, capped at $12,500.00? If they were aiming at high spenders it wouldn't be capped. You beat me to it. The whole thing seems pointless. It's just another aspirational card to rope in some higher earners who aren't that educated about CC and FF programs (there's a few of them out there). @ David is it possible to find out if existing Premier Platinum members are eligible for the bonus? I checked the T&Cs which just says “New to Qantas Premier” which could mean any Premier Card. They say high spender then cap at $12,500 or is that only on regular spend. Does the bouns 2 points on international and Qantas spend keep going above the cap. That 20% status bonus sounds great at first but corporate travellers typically can’t use their own credit cards for air spend through TMC & online booking tool. Even as an SME who may use this card for air spend, points top out (top earn) at $12,500 so a few airfares, hotels, other T&I and you’re hit that limit fairly quickly. At this price point you are MUCH better off signing up for Amex Platinum Charge with MUCH broader travel benefits - Hotel status, over thousand global airport lounges+ $450 travel credit and QF point transfer. As others have pointed out the Amex Platinum seems to offer significantly better value. It is frustrating to be getting 0.5 a point or something with my free CBA Diamond card, but paying $1,200 to get 0.75 extra points (& none on my rates & water charges), access to the first class lounge in Syd/Mel (based in BNE) doesn’t make any sense to me - Amex acceptance is growing & you can transfer to QFF anyway so don’t see the appeal. Geez, $1200 for a Mastercard? I don't mind cards with big annual fees, but if I'm paying big money I expect big benefits, and this card really falls short. Two F Lounge invites are nice but hardly worth $600 a pop: and if you take your partner in there, you'd presumably need to use both invites (?) and thus you're paying $1200 for one visit. Beyond that, two visits to the Qantas Club per year? Laughable: my Amex Platinum gives me unlimited Virgin lounge access, Priority Pass, Centurion lounge, Delta Sky Club, Plaza Premium and more for $1450, and I can fly with any airline: and with that, there's also free hotel status with five global chains, a free hotel night, Amex Offers, shortcut to Star Alliance Gold, travel credits ($850 p.a. if you take out the free Reserve too), and points can be transferred to 10 partner airlines so you're not stuck with QFF. While the earn rate on the Titanium is marginally higher (or the same as the Amex Ultimate), I really don't spend that much in places where Amex isn't accepted to justify paying four figures for a few extra points, and with no mention of an overseas transaction fee waiver, I presume you'll be paying 3% more than the sticker price to earn the higher rate of points overseas, when you've already coughed up for an expensive annual fee. I think people will really only get this card for the sign-up bonus and then bin it, or if they spend a lot on Qantas flights themselves to earn the extra status credits, especially those who can book and pay for their own work flights and be reimbursed by the company. Even for a non frequent flyer with no status I can't see value. Buy Qantas Club membership and get access for cheaper than the fee. Plus $1,200 for 112,500 points annually ($150k @ 0.75 points differential), a 1% Amex surcharge would get you more points. Yeah you get 10% off two purchased tickets.. but are you not meant to be using the points for reward flights? Yeah, I think I will stick to my Amex. Citi AAdvantage Executive World Elite MasterCard in U.S. charges only USD 450 for annual fee, and offers more benefits than this QFF card, except it's a plastic card not metal. Don't understand how Citi retail team set up the pricing in Australia. I might consider this card only if the annual fee is lower than AUD 400, otherwise bye-bye. Exactly I'd rather claw out the St Geo 80k point no fee year 1 n the QF Premier 100k, but 70k points for me as I'll bin it after 11 months $149 fee. Cosmetically its a beautiful looking card though. If they want to keep the fee at $1200 which I imagine will be cut, the price point is to high, they will have to increase the cap to at least 25k plus. The lounge passes apart from the 1st class are worthless as 200k earners are going in their anyway. Many HNW/UHNW might not meet the 200k PAYG as they are retired. How is it even possible to earn 30 million points in one year? Perhaps another story, David. My wife would give it a bloody good go if we had that kind of cash available to pay the card off each month. But on a serious note, it’s probably a business owner using an Amex. It’s amazing how quickly the point stack up. 30M points @ 1.25 Amex earn rate = $2M per month in spend (30M / 1.25 = 24M / 12months = $2M per month) not that hard for SME in the right industry. Total points earn.. 15,112,500 - about half! I don't get it, it doesn't even achieve Qantas' goal of selling more points to Citibank. has anyone ever had an issue with FBT on the earned QFF points? I've read various articles about it but nothing ever factual..
I’ve only heard that Qantas has an exemption in place covering everyone. If that goes, let’s face it, every loyalty program is gone - Coles (fly buys), Woolworths, Myer etc. Agree with the majority on this one. From the T & C noted on the qantas compare credit cards. The offer cannot be used to move you from Platinum to Platinum One Qantas Frequent Flyer membership nor can a Platinum One member use the status credits to retain the Platinum One membership status. Bonus Status Credits will also not contribute to Lifetime Status, Loyalty Bonuses, Platinum Bonus Reward, Platinum One Member additional benefits and will not be earned in conjunction with other Status Credit promotions unless otherwise specified. If I'm going for a high earn rate card, I'll just get the AMEX Qantas Ultimate which has the same 1.25 points per dollar earn rate with 2 points extra for Qantas spend. If I'm going for benefits, I'll just get the AMEX platinum with their extensive lounge network whether or not I'm flying Qantas, better insurance, travel credits, hotel statuses. If I'm going for status, I guess the 20% status credits would be good but they don't qualify for Platinum One status or lifetime or bonus, so Platnium members already will find no value whatsoever. The card benefits are quite weak and misaligned. The only way to recoup the cost of this card is from the 10% discount. And if you're buying one or two longhaul flights a year in business or First class, you probably could make it work (and even come out ahead). Am I the only one who choked at the $200k income requirement? I think most people are choking at most of the points on this card. Based on the amount of J/F class travel that is taking place, I would expect that a reasonable chunk of the AusBT readership to meet such a requirement. It looks like just about the worst credit card you can get. Much better off with AMEX platinum as while Amex a little more pricey it has a much lower minimum income (200,000 vs 100,000) and you get more than triple the benefits. Also how stupid is it that Qantas say 20% bonus status credits yet they don't even count toward P1 or lifetime which are the only reasons I would consider that a useful benefit also 10% of QF flights twice a year and two QF first lounge invite are not worth much at all. I’m going against the grain and will say this looks like a great deal to me. I’m about to drop off platinum with no prospects for a return and, being in Melbourne, am not looking forward to the business lounge. I also travel internationally for a holiday once a year (twice if I can) and try to fly business. I’ll easily get the $1200 back on the flight discounts alone (worth way more than $450) and will get to kick off the holiday in the lounge I’ve become accustomed to. You are correct, the only way to get value on this card is leveraging the 10% discount. But 2 x $6,000 tickets will probably be in F/J class and give you lounge access anyway. Will definitely be in J, not F. Given how good A330/787 J is these days, I’m happy flying it with first lounge access. Is the 10% discount available on all fares or just for full priced fares? The companion sale at the moment is better than 10% off the full price. Good question! I have no idea. Totally agree that if it is off non-sale fares only then the benefit is gone. People seem to overlook the fact that paying with a CC so often incurs fees these days - a percentage based on total spend. So for accruing miles/points, it's not really worthwhile. I've done the math before and found that if I put aside the money saved on CC surcharges, I'd actually be able to purchase the fare/upgrade I want for a lesser price. But I can see why this is beneficial for things that money can't buy, such as SC credit bonuses, lounge passes etc. Worth the extra fees though? Whats the point of extra status credits if they do not apply to your status. Ridiculous!! 30 million points? She’s got her company card linked to her account or she’s a Labor politician spending like a sailor on shore leave. I know Amex reworked their points earning recently. So is Amex points earning still worth it. I heard the transfer points to certain airlines is now 2 Amex points to 1 airline point? Seems most reviewers are forgetting that Qantas is offering a Mastercard which is accepted in far more places than Amex. I have both Qantas Premier & Amex Platinum Edge & use the the Qantas Premier probably twice as much as I use Amex, not by choice just availability & even when it is offered in many cases Amex is charged a higher transaction fee. The limitations on the status credit benifits is an own goal! How ridiculous. Qantas hoping the marketing and media support will sell cards.What a rubbish product. No matter how much you polish a piece of s&*^ - its still a piece of s^&%. I avoid Melbourne and Sydney first lounges these days as the service was plain woeful on more than 70% of visits. 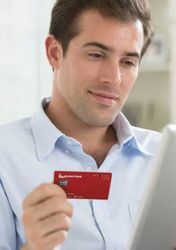 The card just doesn't compare to the travel vouchers and benefits with an Amex - there is better bank cards such as the nab signature rewards for where Amex isn't accepted. I think my Bankwest platinum still has zero fee for overseas spend which is also rare. With Amex you can also transfer to other frequent flyer partners for example you can transfer to Asia miles for CX which has better availability, lower surcharges and takes less points than booking via Qantas. Comment on "Qantas Titanium card: first class lounge access, extra status credits"